I fully admit that I am a sucker for the seasons! There is so much to love about each one! I am extremely glad and grateful to live in Kentucky where we get to fully experience the beauty in the transition and change in the from one to the next! One of the many things I treasure about fall (and trust me there are MANY!) is Fall Family Movie Night! When the evenings start cooling off and the sun begins setting just a smidge earlier, my family loves to pop a big bowl of salty sweet popcorn and squeeze together on the couch under a comfy blanket and watch a festive fall movie! Seem like something your family would enjoy?! Family Movie Night doesn’t have to require a lot of work or preparation! If you are a cable customer and have DVR you can see what movies are coming up and record them to serve as the feature film on family night! Netflix subscribers can search for family favorites or see what movies will be coming in the fall! Not sure what movies to search for or what snacks to serve? We’ve got you covered! 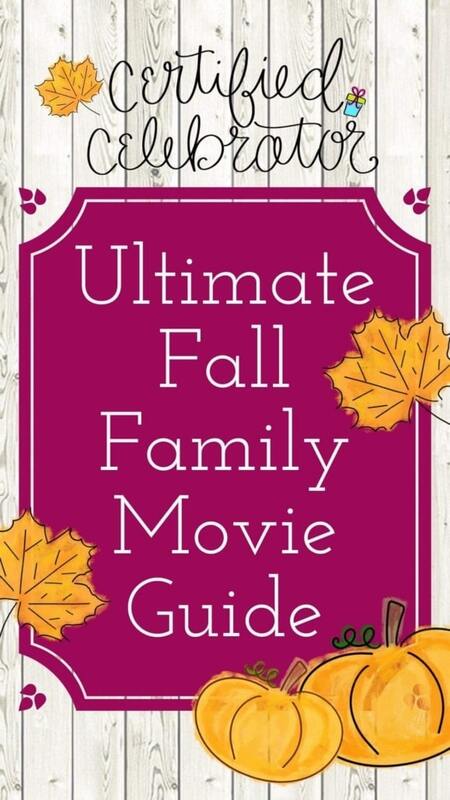 Our Ultimate Fall Family Movie Guide! Looking for some other plans for family friendly fun, snacks to serve, or festive fall decoration ideas? Plus, get Brittany’s Favorite Party Themes here!